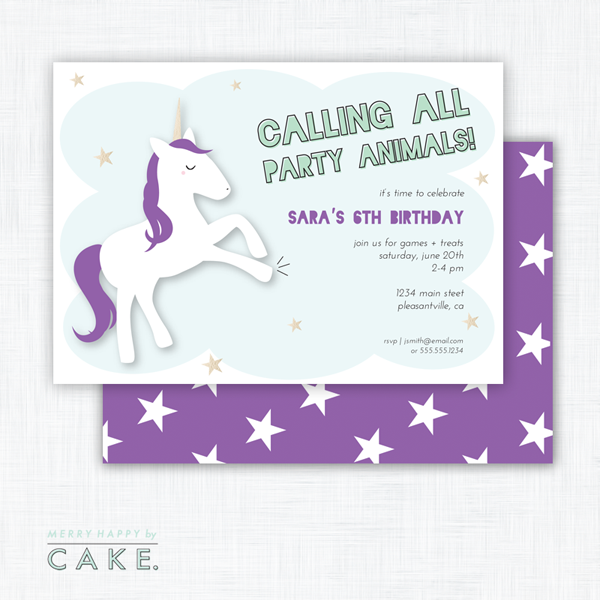 CAKE Creative Co.: New Invitation Themes | Unicorns + Donuts! I mentioned in my last post that I'm working on updating my shop and expanding my offering, so I thought I'd stop in with an update and show off a bit. Below are my latest party invitation designs. Do you love them? I mean, Unicorns + Donuts... they're not exactly related, but they are both totally magical! If you're as excited by unicorns as my almost 5 year old and I (and, apparently much of the party community), you should stop by Honest to Nod today and check out my latest Party On board too. Just trust. As you can see in the images here, I'm now offering a printable background pattern design that can be used to coordinate with each invitation and theme. I haven't completed patterns for all of the existing listings yet, but will be designing them by request for customers who want them. And better still, I've put together a printable party package at a discounted rate so it's now simple to buy items to coordinate with your theme. About time, I know! Anything else you'd like to see added to the shop? 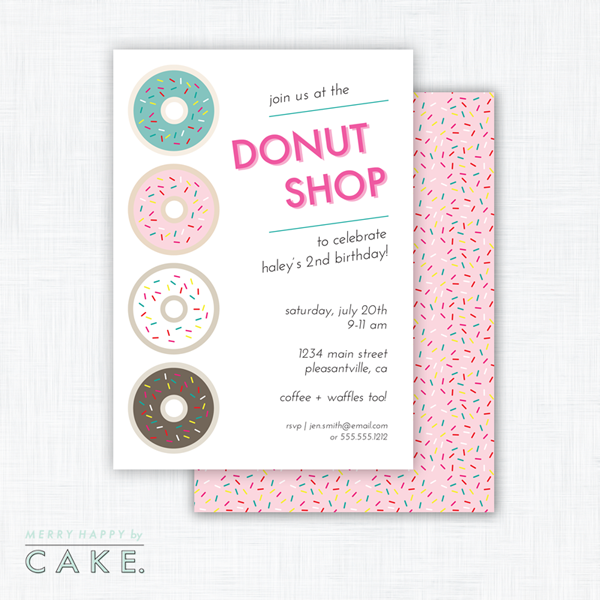 unicorn invitation // donut shop invitation // printable party package // background pattern // Images for personal use only. If sharing them on your site, please link directly to this post. Yay! Love your unicorn party ideas, it is so trendy right now! Just did a unicorn party post myself.